You can watch the song on the CBBC website and sing along with the lyrics below. 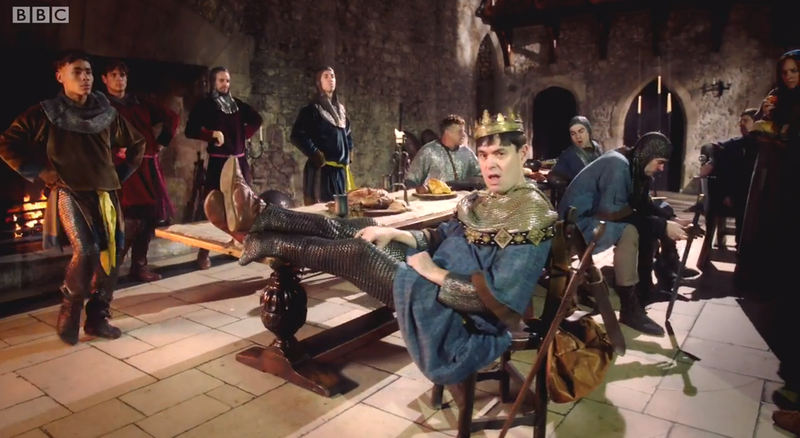 William and his Normans invaded England in 1066, bringing a nasty Norman rule to the country, building castles, riding horses… and a lot of fighting too! Song from Series 6 Episode 3. 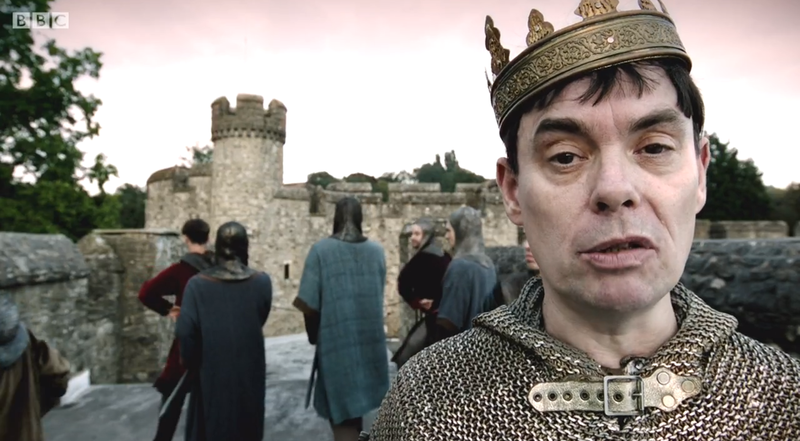 Guest-starring Kevin Eldon as William the Conqueror. We Normans are France, it’s not where we originated. Our accents are weird, but we’re not sophisticated. Tough and terrifying, we’ve descended from the Vikings. So is it any wonder we’ve a natural flair for fighting? Normans over here! And you English can’t abide us. Normans over here! Oh, that’s cute, you tried to fight us. Normans over here! We set the North on fire! Normans over here! Saxon life, au revoir. 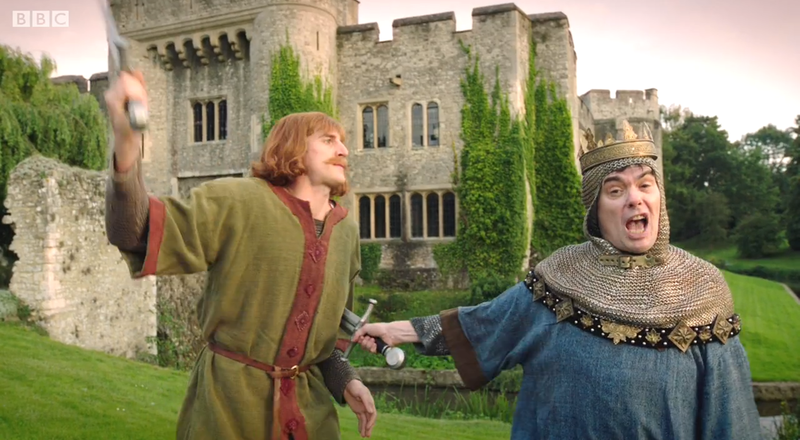 We build castles, we love horses, our cavalry. You can hire us, but you won’t like us. No! And we don’t care. No! 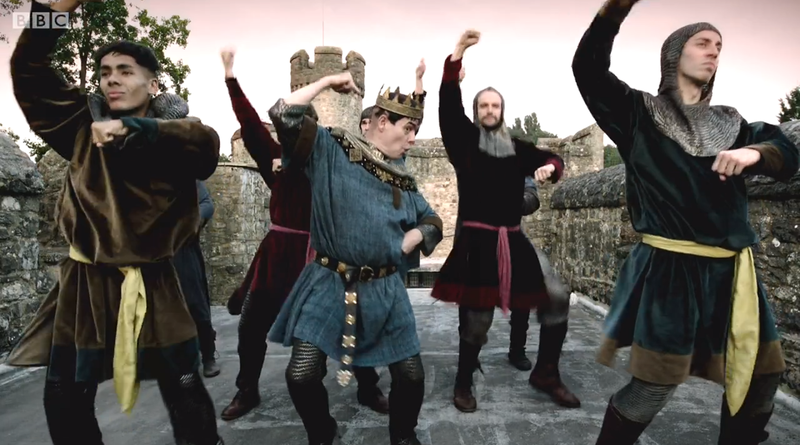 This, is Norman style. Chop! Chop! Chop! Chop! Riding Norman style. Chop! Chop! Chop! Chop! Haircut Norman style. Chop! Chop! Chop! Chop! Hands up Norman style! Chop! Chop! Chop! This is Norman style! Got delayed in Reading, England, ‘cos of the bad weather. Then chopped up King Harold, and left his mummy crying. What do expect, man? I’m practically a Viking. England’s Rightful Heir! So signed Edward the Confessor. England’s Rightful Heir! Forget Harold, the Usurper. England’s Rightful Heir! These Normans gonna rule ya. England’s Rightful Heir! Surrender or I kill ya. 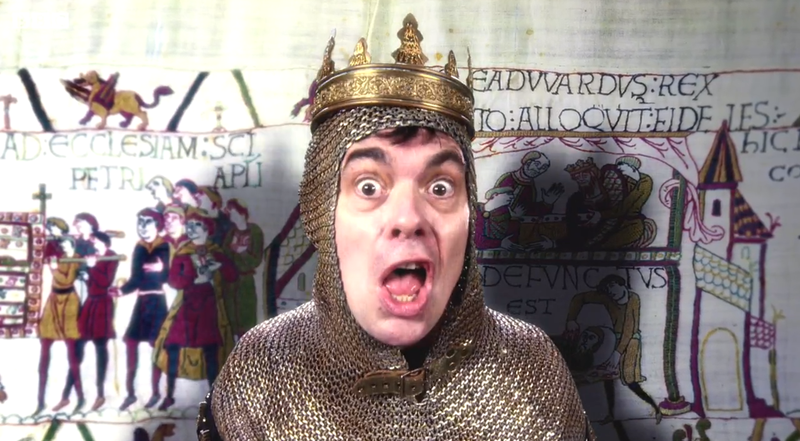 We’ve got that haircut cos of chainmail that we wear… This is Norman style! Hey, Saxon ladies. Chop! Chop! Chop! Chop! Haircut Norman style. Hey, Saxon prisoners. Chop! Chop! Chop! Chop! Hands off Norman style. Hey, check our horses. Chop! Chop! Chop! Chop! Riding Norman style. 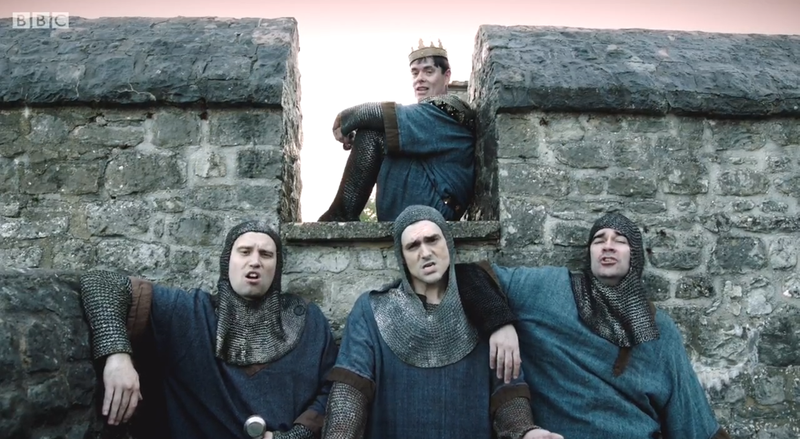 Hey, we rule England. Chop! Chop! Chop! Chop!